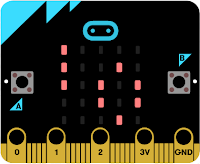 This code uses the Micro:bit as an interactive controller in Minecraft. You can read all about it in BitIO blog 1 here to fully understand how to set it up and run it. But suffice to say that the Brains behind it is David Whale. 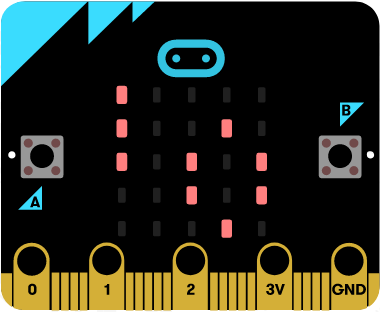 Over the course of the the last 5 months I have been integrating the Micro:bit into my Minecraft coding experiments. This is the latest.... In a short summary this builds on blog 9 PixelCraft which was building on work done by Kari Lawler you can read about that here. 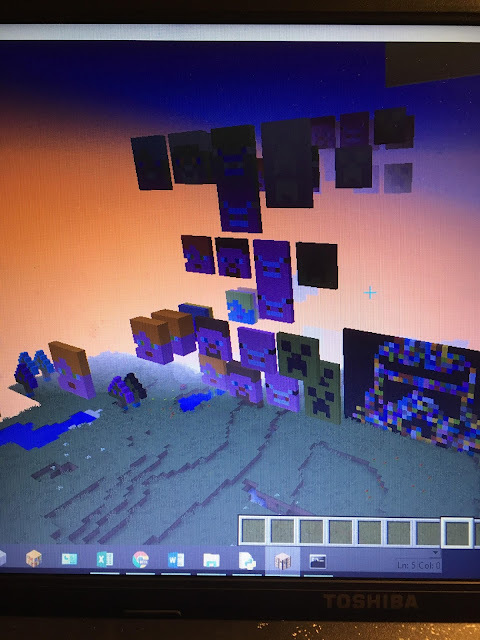 This updated edition will render the normal Pixelart with the press of the 'a' button, with the 'b' button you can render the same pixel art with random wool colours. The overall effect is a pop art style pixel art.